My grandmother was a Rockette dancer. How fab is that? It’s a claim to fame I never tire of sharing. Her name was Thora. She was also a concert pianist and a savvy inventor. She designed a couple of hair products for Goody that are still sold today. To top it off, she was an incredible wife, mother and grandmother. With all of this, to say she was busy would be like saying the sun is hot. Beauty, smarts and talent aside, above all she was an amazing human being whom I miss dearly. Lucky for me, (and you vicariously), she left me with many pieces of sage advice. My favorite gem of guidance which I use daily is to K.I.S.S. everything, meaning “Keep It Simple Silly”. Keeping things simple is never more important than when you’re getting married. The same goes for when you’re honored with being in the wedding of someone close to you. Luckily, as my grandmother would say, K.I.S.S. can easily be accomplished with the help of Nordstrom. That’s right. Nordstrom Weddings has everything you need to keep things simple and plan the fabulous style of your wedding in an uncomplicated way. With their wide variety of bridesmaid dress options, including different styles, colors and silhouettes, “keeping things simple” can be done all in one place. For example, say you’ve fallen in love with Jenny Yoo’s ‘Annabelle’ Convertible Tulle Column dress shown above. And who wouldn’t with the countless ways it can be styled. Let me show you how I’d plan a wedding around it using my grandmother’s K.I.S.S advice. For me, I love the classic and romantic bohemian feel of this dress. I’d play that up by combining the same dress in different colors, styled individually as shown in the top left image below. Then, to add a bit of variation, I’d style one bridesmaid in a blush Amsale Strapless Tulle Mermaid gown as shown in the last image, bottom right. 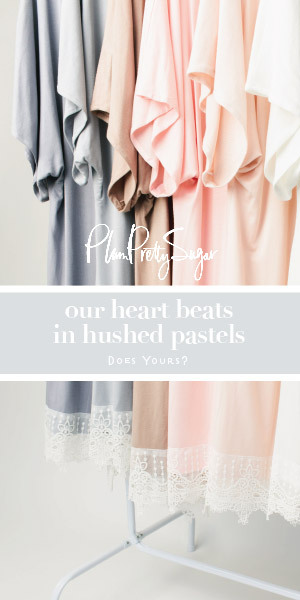 Personally I’d pick a palette in shades of grey from light to dark mixed with cream and blush. These are colors I’m often drawn to. And as you can see in these images, they most certainly compliment each other. For accessories, I’d style the dresses with David Tutera’s ‘Joy’ Sandal in steel as shown above. It’s a lovely shoe that can definitely be worn again. Top off the look with a simple and classic necklace like this Nadri Boxed Pendant Necklace. Nothing more, nothing less…simplicity at its finest. It is my opinion that the look of the couple and their bridal party be the setting tone for what guests will see and experience throughout the ceremony and reception. Yes, style really is that important! But you should have no worries with the fabulous looks you create at Nordstrom. If you need help styling your look and that of your bridal party, I’ve got you covered. Check out the Nordstrom Wedding Stylist to help you narrow down some options. Once you set your fashion in stone, you’ll need to make sure everything else is just as stylish. You can do this by coordinating with romantic flowers and paper goods, drape dramatic silks from your ceremony and reception ceiling, set out lots and lots of candles, and repeat the idea of your miss-matched dresses through your ceremony and reception seating like the images I’ve gathered in these inspiration boards. This is classic and romantic bohemian style at its finest…all inspired by one dress from Nordstrom. All in all, like I said to my husband while writing this feature, with Nordstrom Weddings as an inspiration hub, featuring all the latest bridal trends, on top of their exceptional services…like speedy and convenient service, online and in-store 24/7 stylists, rush orders and alterations in-store, and quick returns and exchanges, I’m 100% sure anyone can style their entire bridal party at Nordstrom. Now that’s putting K.I.S.S. to work for sure! Click here to see the entire bridal style by Nordstrom campaign slideshow on Style Me Pretty. * Compensation for this post was provided by Nordstrom via AOL Media. The opinions expressed herein are those of the author and are not indicative of the opinions or positions of Nordstrom or AOL. Stephanie, I love your style. The colors, the silhouettes, and the textures are romantic perfection! I love the boards you put together and how you incorporated these gorgeous gowns into those styles! Loving the delicate styling – beautiful job! Seriously, what’s not to love about these gowns?! Your grandmother sounds like an amazing lady! I love how you styled everything. Gorgeous style, I am in love with the first board with the shades of grey and blush! Your grandmother’s advice on simplicity is very fitting here! She sounds like an insanely incredible lady. Go KISS! I love how you styled these gowns, they would look so wonderful in those settings and alongside those details! And that grandmother of yours sounds like she was a fantastic lady! Oh I love how you put this together! What a great idea! I adore the bridesmaid dresses chosen. Beautiful colors and easily something I would hem after wearing at the wedding so I could wear it over and over again.